Get the Sigma DP Merrill at B&H Photo. Pixel for pixel, nothing beats the Sigma Foveon sensor found in the Sigma DP Merrill line (for fine detail and textural rendition, and freedom from digital artifacts). I do wish Sigma would deliver a full-frame 32 X 3 version. Or at least updated models with an EVF. Maybe someday. Without a good lens, a sensor records the mush transmitted to it, and here the DP Merrill lenses play second fiddle to nothing anywhere near their class. Actually, they beat just about any lens on any mirrorless or DSLR camera, at least as matched precisely to the sensor design. The DP3 Merrill lens in particular is a jewel. And it comes permanently attached to a free camera. And that’s the rub—the camera itself is pig on a lipstick*, the sensor and lens being trapped in a marginal body. But don’t old-style view cameras also demand a great deal of the photographer? Effort in = results out. The Sigma/Foveon sensor is a specialty device . Use it for what it’s good at—sharpness. It's not for sports, it’s not for high ISO, it’s not for color accuracy (though its rendering is highly appealingly “wrong” for some subjects), it’s not for high speed shooting or video or so on. And its 14.75MP finished image size can be overcome starting around 20-24 megapixels for a high quality Bayer sensor with an outstanding lens. It cannot work miracles either—36 megapixels on a Bayer with a great lens forgives a lot of Bayer sins, though the Sigma/Foveon sensor has some rabbits in hats on certain subject matter. See the first three words in the title of this post. On my recent trip, I worked with the DP1M, DP2M, DP3M all day long. I exhausted 7 batteries across the three cameras. The detail in the images I shot is astonishing: use the spot autofocus and the cameras can do no wrong in detail terms. The image below was taken in extremely blue light in a mountain canyon (not a camera color rendition issue, just lighting). I shot it as part of a panorama of a very large beaver pond. The small image does not do it justice here, so see the crops that follow it. * For foreign readers, “lipstick on a pig” means trying to window-dress a shoddy or inferior item. Here, it is reversed in meaning in referring to the camera body (pig) versus the sensor + lens. The crops below are actual pixels*, the first one from the lower left corner. It’s not just about detail down to the single pixel level, it’s about recording believable and nuanced textures that conventional cameras simply blur away, no matter how good the lens. No camera anywhere near its class can make images that “pop” in their 3D effect and detail and true-to-life texture rendition. No Fujifilm, not Olympus, not Pentax, not Ricoh, not Nikon, not Canon, not Leica. Making prints is the proof of pixel excellence, which is more than sharpness alone. But until this is experienced first hand, it just gets dismissed: message transmitted, nothing received between ears. So read my in-depth review of the Sigma DP Merrill cameras (there is lots to know including operation), and then being fully informed, buy one if it fits your goals. * Note that on a Retina display, actual pixels is pixel-doubled (2X linearly) and is thus really being viewed at 200% of actual pixels and so will look slightly blurred. Or how about fine grasses, which turn to mush on a Bayer-matrix sensor? Or the subtle texture and detail of the underwater and under-ice mud? Or the fine twigs or cracks in the wood? Quack. A pair of mallard ducks. I currently own all three Sigma DP Merrill cameras. Over the years I've owned all of the major brands of professional quality cameras and have been more impressed with the DPM cameras than any of the others that I have used in the past. Sure, they are not for everyone, but for folks like me that shoot nature and stuff that does not move very fast, and print them up HUGE on large format printers they are certainly a lot of bang for the buck. When the oft-rumored new Sigma Foveon camera/sensor is announced/released it will most likely address many of the "camera shortcomings" that you mention in your article. I think this next generation Foveon camera will create lots of excitement and may cause photographers historically loyalty to Nikon, Canon, Sony etc. to jump ship and come over to Foveon. DIGLLOYD: any improvements to the Sigma/Foveon sensor would be welcome. I read with great interest on how you express admiration for the DP Merrill cameras especially its image quality. Indeed it's second to none, and not even in the next 6-12 months in my prediction. Frankly, I do not know what photographers want anymore. The Sony A7R seems to be receiving rave reviews recently, and one of my (Merrill) group member got a chance to do a side by side A-B comparison. When I posted the results anonymously, most of the picks were on the Merrill image without knowing that this is a crop-based sensor "point & shoot". Some even commented on the realism of details (as what you've pointed out over and over again), smoother rendition of skin tones, and ridiculously some even said the image is reminiscent of one from a FF camera. As expected, they were dumbfounded when I reveal the answers. You mentioned, “the camera itself is pig on a lipstick the sensor and lens being trapped in a marginal body”, with which which I can't agree more. I guess photographers these days rely too much on software and functions within the camera to help them take their shots, forgetting even the fundamentals of how a camera works and performs. "No camera anywhere near its class can make images that “pop” in their 3D effect and detail and true-to-life texture rendition..." says it all... photographers' workflow does not end with a print these days, hence many are ignorant about pixel quality and superiority. Anything that's perceptually pleasing on web is rendered as sufficient. Sad case. I hope Sigma Japan is reading your article too. They have started well but there's much to be done to improve the camera. Your calculation at 32MP FF on Foveon will just be a dream come true, and for once, I'd probably advocate for the use of a FF camera if the lens matches up to the high resolution sensor. Who knows, it may just smoke a 60MP medium format (Bayer array) camera in absolute quality! I have been enjoying the use of all three model of the Sigma DP Merrills for a bit now and they really are something! As you mention in your latest post the evidence is in a print. I have output a few images now at 42" across and needless to say they are stunning. DIGLLOYD: the Sigma/Foveon sensor is a specialized device, but under the right conditions it sings. If this message is correct, then why do Canon, Nikon, etc., not adopt it? Is this a conspiracy of mediocrity? Are there complex licensing issues involved? Surely Zeiss producing the Otus shows that there is a reach for superb quality. So why do the Big Ones (C + N) not adopt this sensor? DIGLLOYD: the Sigma/Foveon sensor is a specialized device, and under the right conditions it sings. It has a number of behaviors that make it inappropriate for a generalized DSLR camera, as noted above in the post, and more. Intrigued by all the positive things I have read about the Merrill camera, I have downloaded a number of files (RAW), converted them and printed some. At first I was really amazed at the amount of low contrast fine detail that becomes visible. Although it sometimes seems a bit too much. especially with man-made subjects. A bit like some forms of HDR. To be able to do some direct comparison without buying one, I also downloaded some samples from DPR, both for DP2M and a Sony a99 (since that is the camera I use myself). Comparing two default converted files, it was obvious that the Merrill showed more low contrast fine detail. However, a little post processing with Topaz detail equalized things rather well. As a next step I printed some interesting detail at a size comparable to 50x75cm (200dpi for the a99). There was little difference in the low contrast fine detail, but even at this size it was clear that the a99 files contain more detail. Without direct comparison I think there was little to choose between the two prints. As such an enormous accomplishment for an APS-C sensor. DIGLLOYD: Somewhere in the 20-24MP range, a Bayer sensor achieves detail parity, assuming a first rate lens, and 36 megapixels with a good lens can easily outresolve it. However, the comparison is somewhat specious of making a few prints from a few files, as any Sigma DP Merrill owner will soon discover; the subject matter exerts an influence, and it’s critical to see a larger print as an entire work, not as the details (e.g. seeing no forest for the individual clumps of trees). Exposure to a range of images decides the matter (with a variety of cameras). It can also be strange to see texture where none exists with a Bayer sensor; it looks wrong at first. Rather years of seeing some types of textures disappear with most cameras makes the Sigma 'look' (of reality) seem odd. After purchasing one of the very first DP1’s I quickly understood that it's user convenience handicap was part of the tradeoff. The images produced were usually surprisingly good and often just stunning. I regularly walked, climbed, bushwhacked with other photographers who carried the latest camera and lens in hand with the spare body and additional lenses in the backpack. Later when they reviewed my 16 x 24 prints the good natured jokes about my using a 4mp point and shoot tended to stop. The focus was slow but I carried it in my shirt pocket. High ISO didn’t work well but the camera easily balanced on a rock or something for long exposure and I carried it in my shirt pocket. The time between shots was unacceptably long but…I carried the camera in my shirt pocket. Life is compromise. Choose the ones you can live with. I recently bought a DP3M and I’m pleased with the user convenience improvements compared to the DP1. I can take up to 7 shots quickly. The focus is faster as is the lens. The construction seems more robust (the DP1 is very fragile). I actually did buy it for the lens. Being a wide angle person I wanted to try that general focal length to see how it might work for me. Good lenses were about the same price so I grabbed the lens that came with a free camera. I think the color rendition may be different from my DP1 but as it’s winter I don’t know for sure. I am amazed by the detail this camera offers. All in all It’s a great camera and for me a good purchase. It won’t fit into my shirt pocket but…life is compromise. DIGLLOYD: Sigma DP is not a Sigma DP Merrill. 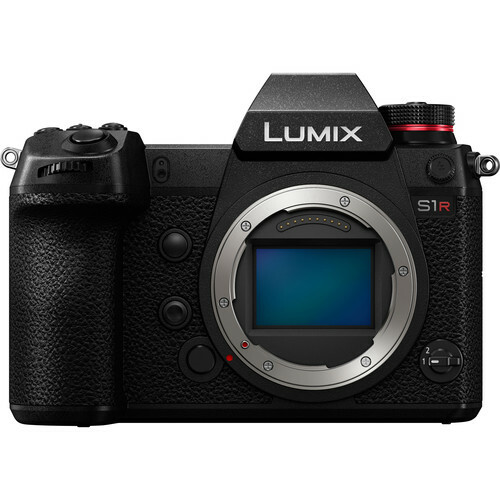 The description makes it seem that the original Sigma DP1 is being referred to (I reviewed its DP2 sibling in 2011). Major improvements were made with the Merrill line, including far higher resolution and the APS-C sensor. The prices here (UK) have dropped on the Merrill DPs with an extra £150 (approx $240) cash back, maybe a newer version is on its way but I decided to purchase a DP3 today. Its been a while since I have made any serious investment in camera gear and I am quite excited at the prospect of a new camera. I'm fully aware of the shortcomings of the camera and software having read your coverage of the Sigma DP Merrills. If I can live with the DP3M then I shall look at getting the DP1M, as a wider lens would be good to have as well. I would probably never bought such a camera without reading all your great coverage and would have missed out on owning a camera that is compact and and yet able to deliver great quality, As a DSLR die hard I'm a bit nervous of this move but the images look fab and can not wait to start shooting with it. DIGLLOYD: Among those who have bought a Sigma DP Merrill (any model) and written me with their findings, I have heard a 100% “wow rate” on sharpness, though not all users are entirely happy with Sigma Photo Pro software (I certainly am quite unhappy with its current blank-preview problem, but I tolerate it). I hear but have not tested the Ricoh GW-3 adapter which turns the 28mm (equiv) Sigma DP1M into a 21mm equivalent. I continue to be impressed with the image quality of these DP Merrill cameras. Thanks for the examples. This shot of the barn looks almost like an 8x10 contact print! Amazing crisp detail. I rented the DP1 Merrill and just shot hand held with it. Not using a tripod, and not really caring too much-just firing away, I thought would get reasonable results. Of course the battery sucked and LCD was pretty useless as everyone knows, but when I opened up the files I was blown away at the sharpness and beautiful depth of field characteristics of the lens. It makes me wish my D800E files could look that good, but in my opinion there is no comparison. Just more megapixels but not near as sharp. Hopefully we will see this Foveon technology in a full frame Nikon, Canon or Sony. Outstanding! DIGLLOYD: Indeed, it is not just the sensor, but the superlative lens quality on all three DP Merrill cameras, lenses that compare favorably to Leica M or Zeiss lenses. A lens matched to the sensor is the absolute best solution.